I have a goodly number of images backing up to share, so here are a few chosen at random, more or less. 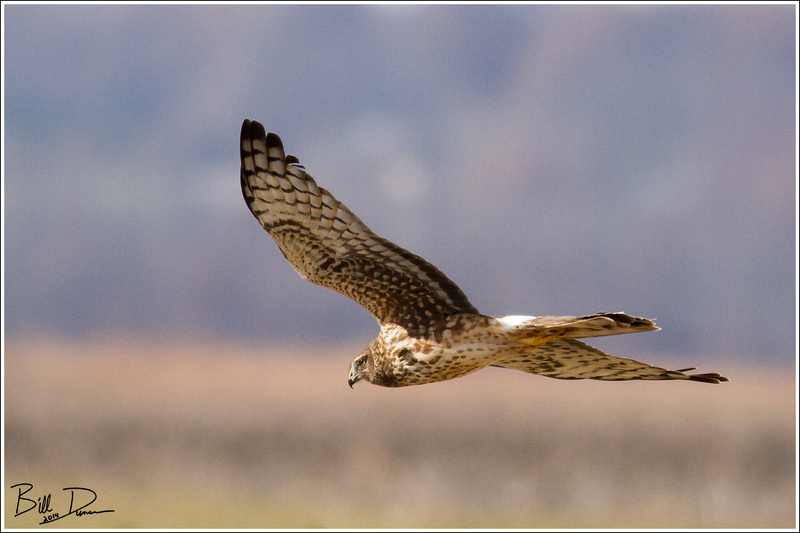 The first image was from a month or so back, when Steve and I traveled up to Clarence Cannon NWR. The highlight was the extraordinary number of Mallards we found. 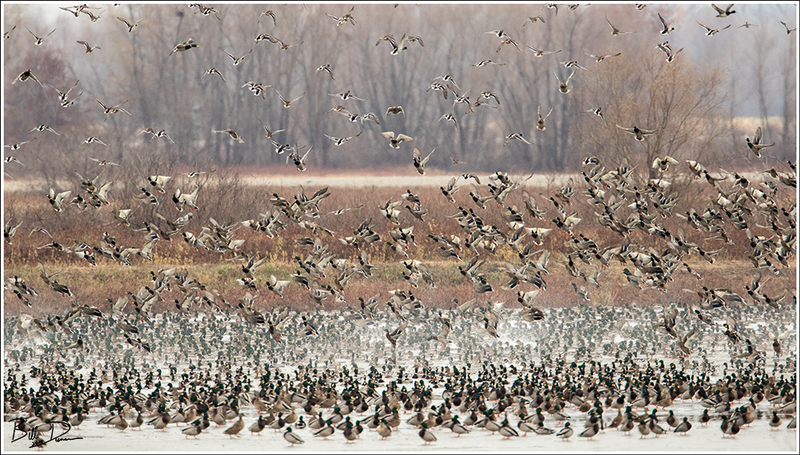 Not too much in the way of diversity of waterfowl during this visit, but the mallards were using the refuge in the peak of the hunting season. We tried our best to keep them in peace, as they were obviously trepidatious to anything with two legs. The next pair showcase a couple of birds that exemplify the great winter season we have been having in this region so far. 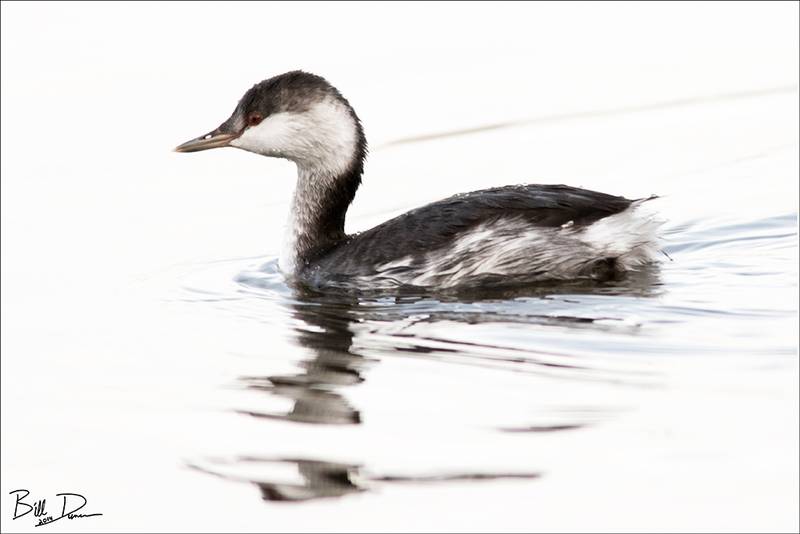 The first is a Horned-Grebe that we were able to get quite nice views of during a very cold morning at Creve Coeur Lake in November. 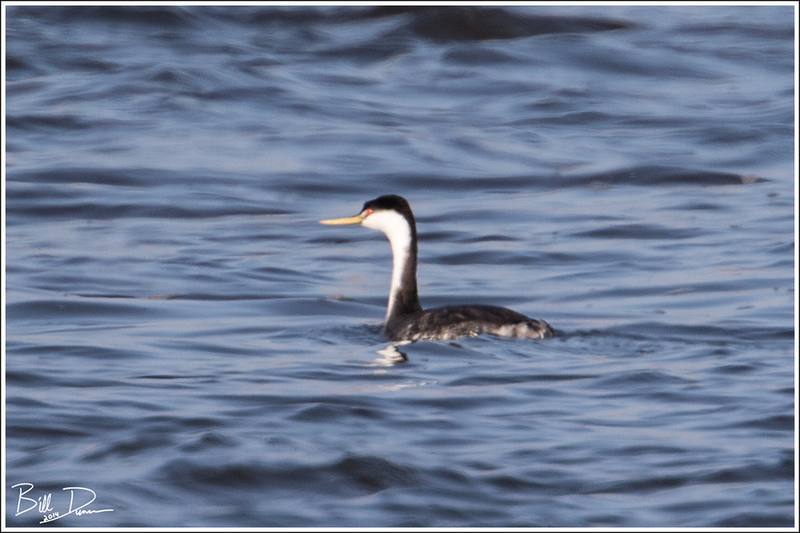 The next photo is of a Western Grebe and is the first photo of this species I was able to acquire. I found this guy near the Clark Bridge near RMBS, where he may still be found. The final pair of images are of a couple Northern Harriers, a species I have been finally able to achieve some success with lately. 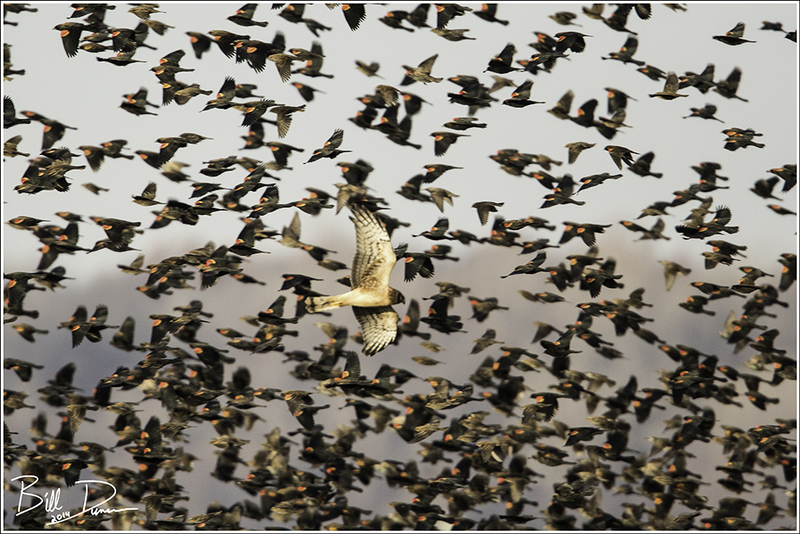 The first, taken at CBCA, was fortunately timed while the bird was back-dropped by a flock of Blackbirds. I have provided this last photo, also a Harrier taken at CBCA, in a larger size so you can see the cockle-bur that is stuck on the underside of this poor creature. I know these things can be a nuisance for me in this habitat, and I guess it is for the birds as well.